Carl Stephenson (1893 - after 1960) was a German author born in Vienna, Austria. He also published using the pseudonym, Stefan Sorel . He is best known for his short story, Leiningen Versus the Ants , published in Esquire magazine in 1938. Stephenson translated it himself to English. 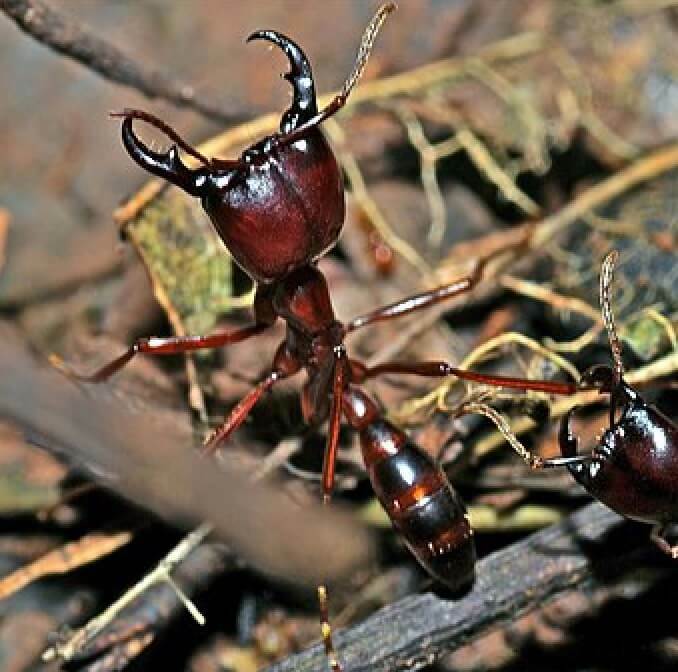 Image of army ants by Bernard Dupont, Mabira Forest, Uganda, 2008. The story is about a plantation owner in the Brazilian rainforest who learns that a ferocious army of soldier ants are approaching and is told he must evacuate. Leiningen is convinced in the power of the human brain to overcome the onslaught, and convinces his workers to fight with him. Due to uncertainty whether the story is in the public domain, we offer an excellent summary, which we encourage you to read to see how things turn out for old Leiningen.